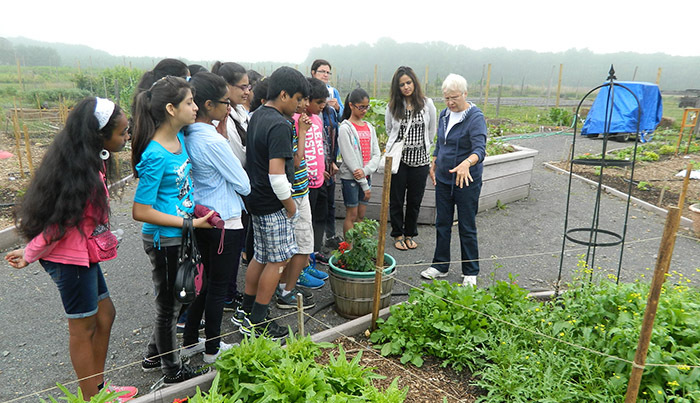 The Rutgers Cooperative Extension of Middlesex County will host its Garden Field Day/Open House from 11 a.m. to 3 p.m. on Saturday, Aug. 20 at the EARTH Center located in Davidson’s Mill Pond Park at 42 Riva Ave. in South Brunswick. The rain date will be Aug. 21. The day will be filled with activities for the whole family, including garden tours, presentations and showcases on gardening and landscaping and live music. This day will also celebrate the 250th anniversary of the founding of Rutgers University. This year we will be holding a food drive for MCFOODS, the County food bank. This program provides nutritious food to over 90 pantries and soup kitchens throughout Middlesex County. MCFOODS bins will be available at the Open House, so please bring along some canned food or dry goods to donate. A new addition for 2016’s Open House will be the Master Gardeners Scavenger Hunt. From 11 a.m. until 2 p.m., kids age 14 and under can sign up to hunt for medallions in the demonstration gardens throughout the park. Once all their medallions are found, treasure hunters will turn in their hunt forms and wait for the randomly chosen winner. The name for the grand prize will be drawn at 2:30. Throughout the event, the Extension’s Agriculture Office and Rutgers Master Gardeners will offer advice on horticulture and environmental stewardship while guiding visitors through various teaching gardens and learning projects. Examples of their work include the Children’s Garden with Green Roof playhouse, an enormous vegetable display garden and the popular Butterfly House. All vegetables: Best Likeness to a Celebrity or Historical Figure. “Come enjoy the beautiful gardens and educational presentations, while enjoying the sounds of local musicians in beautiful Davidson’s Mill Pond Park,” said Freeholder Kenneth Armwood, Chair of the County’s Business Development and Education Committee. Many exhibitors who collaborate with Middlesex County Extension throughout the year will be on hand to share their programs and accomplishments. For more information, please call 732-398-5268 or e-mail david.smela@co.middlesex.nj.us. This is a great idea! I love the concept behind “Garden Field Day.” When will the next one be held?